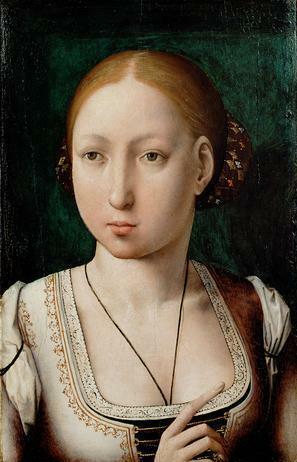 Queen Joanna of Spain When She Was Young. Also known as Joanna the mad. She may have suffered from schizophrenia or clinical depression but was considered mad at the time.. Wallpaper and background images in the Kings and Queens club tagged: queen joanna queen of spain joanna the mad. This Kings and Queens photo might contain portrait, headshot, and closeup.